Debone the chicken thighs but keep the skin on. If you like skinless, you may buy skinless and boneless skin thighs. Mix all the ingredients in the Marinade in a bowl, whisk to combine well. Marinate the chicken with the Marinade, in a bowl or in a plastic bag for 30 minutes, or best for 2 hours. Fire up the grill and grill the chicken on both sides, until it’s cooked through and the skin is charred. You may bake the chicken in an oven at 400F for about 15-20 minutes, or pan-fried on a skillet on medium to low heat. 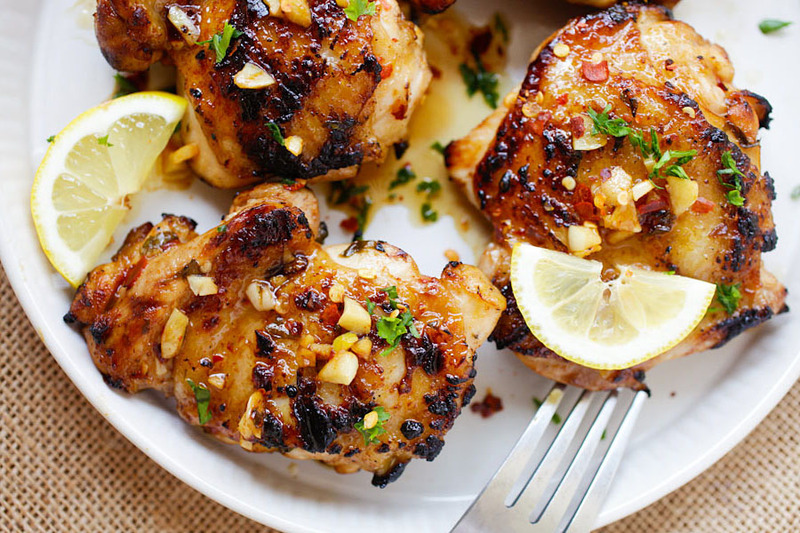 Serve the chicken warm with some lemon wedges. I got this awesome recipe from Rasa Malaysia: Easy Delicious Recipes, feel free to check out their site for more great recipes!